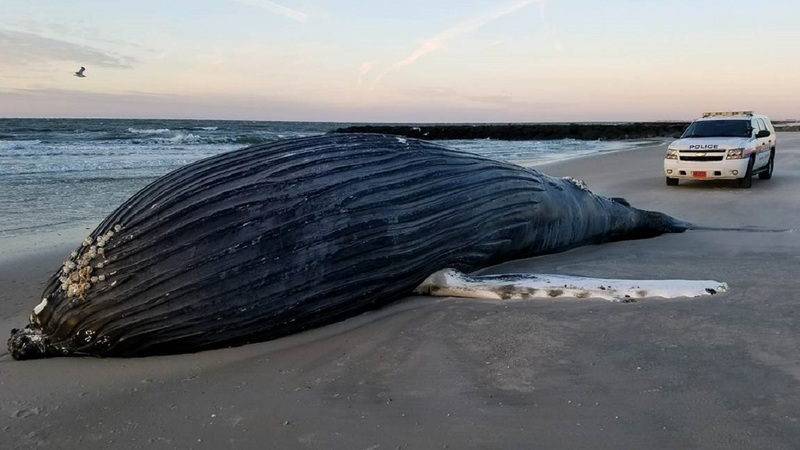 ATLANTIC BEACH, Long Island (WABC) -- A dead humpback whale washed up on the shore of a Long Island beach on Tuesday. The whale was found on Atlantic Beach around 8 a.m. The Atlantic Marine Conservation Society is working with the Town of Hempstead, the New York State Department of conservation as well as the Sanitation department to determine a response plan. On Saturday, a dead dolphin also washed up near Montauk Lighthouse.